Los Angeles is now the new ground zero for the world's most influential street art this month. 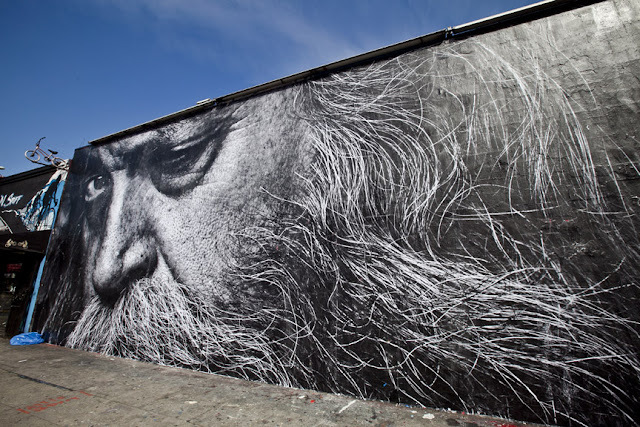 Two amazing street artist have decided Los Angeles worthy enough to become their newest canvas. New Banksy piece in E.L.A. JR eyes on downtown MOCA bldg. 2011 TED prize winner, JR, is mounting several of his inspirational black and white art works through out the city. The ginormous works can be seen from Venice to downtown. 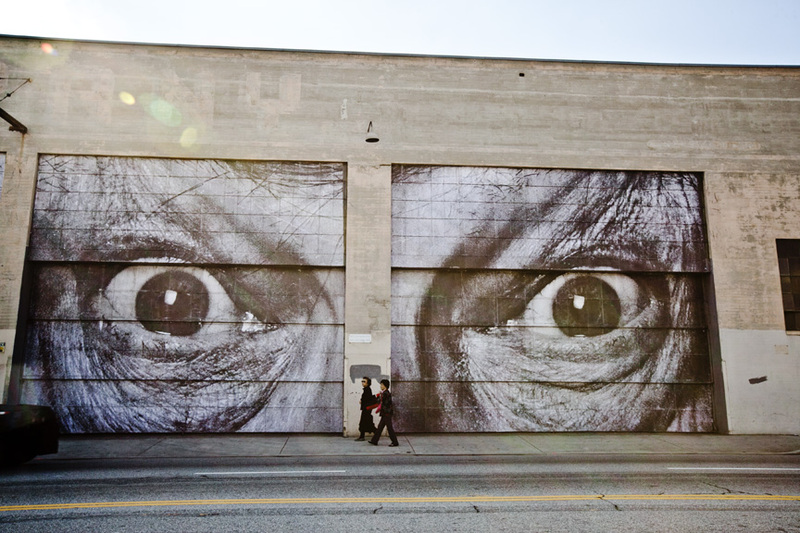 JR's art varies from faces to giant eyeballs, he has never fully explained his work as he wants the viewer to experience the meaning for themselves. You may see several volunteer crews putting up the French artist work this week, JR attempts to remain anonymous and never shows his face or eyeballs in public. 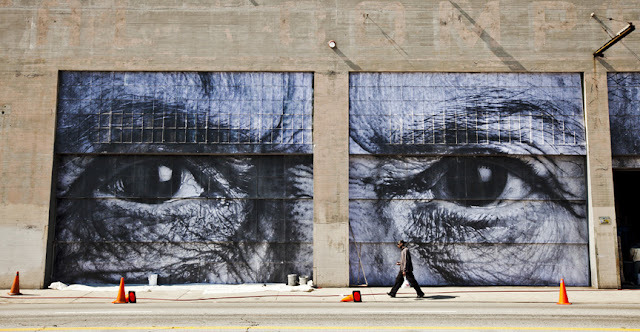 Artwork by JR on Melrose Ave.
JR's newest work on downtown MOCA bldg. 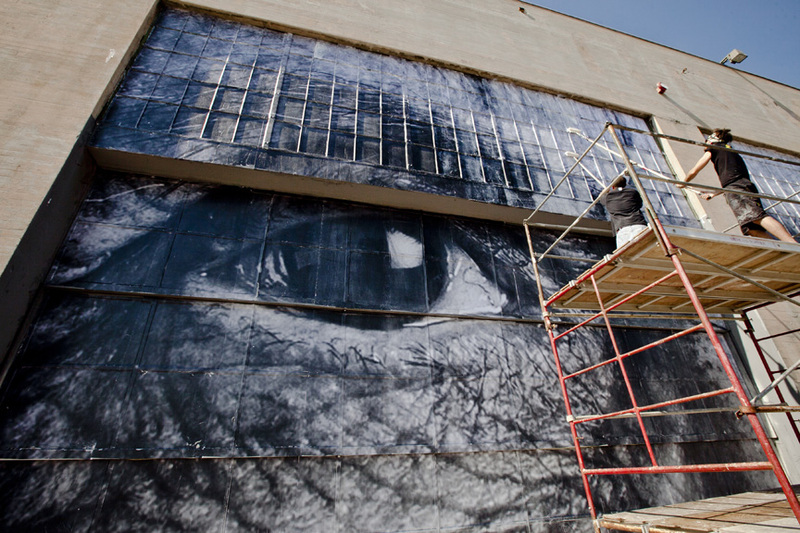 Workers applying varnish to JR's newest work on the MOCA bldg. A board now covers a hole where a Banksy work was stolen from. 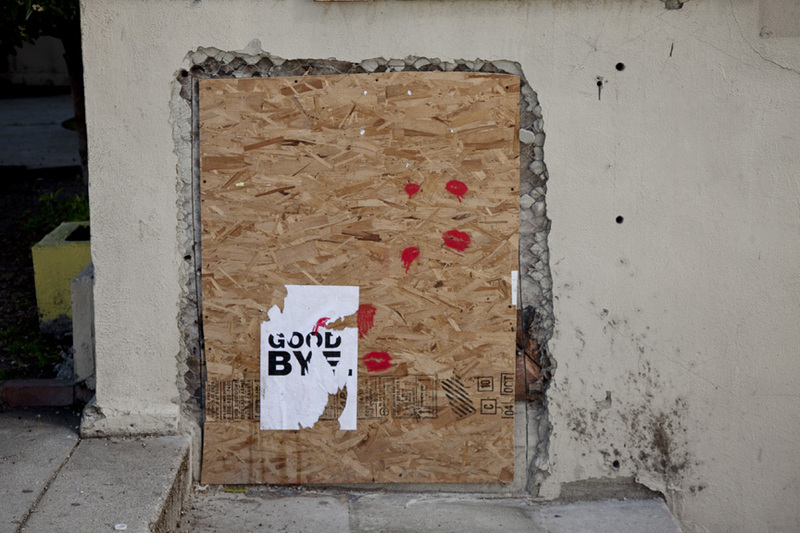 Vandalized Banksy artwork in Westwood. 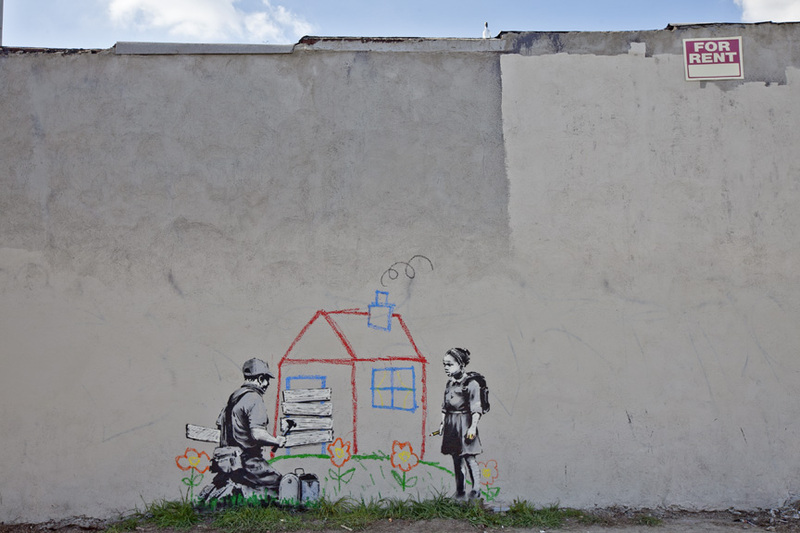 The other artist Banksy has put up several of his pieces last week all over L.A. Sadly one of the pieces, "Firestarter," was stolen, a crew of bandits used a sawsall to cut the art from a wall. "LiViN THE DREAM" was also torn down from the billboard it was on, and reported sold. 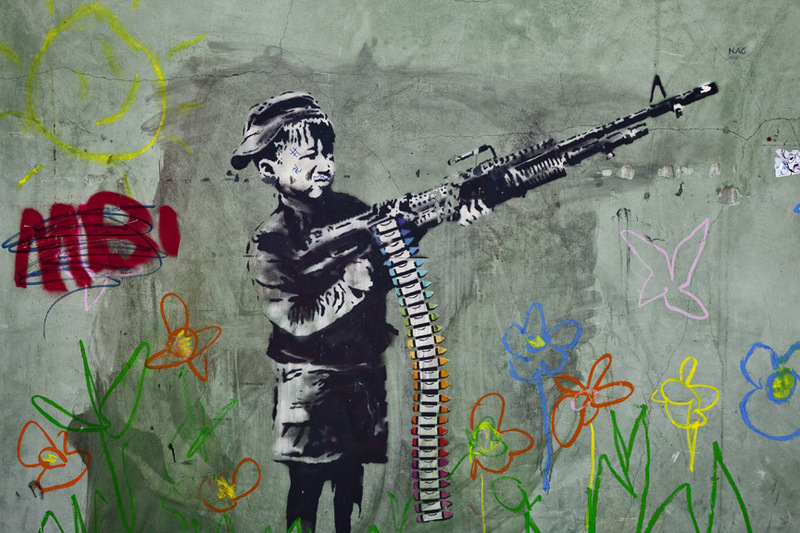 Another of Banky's art work, "Crayola Shooter," was defaced several times by vandals in Westwood. 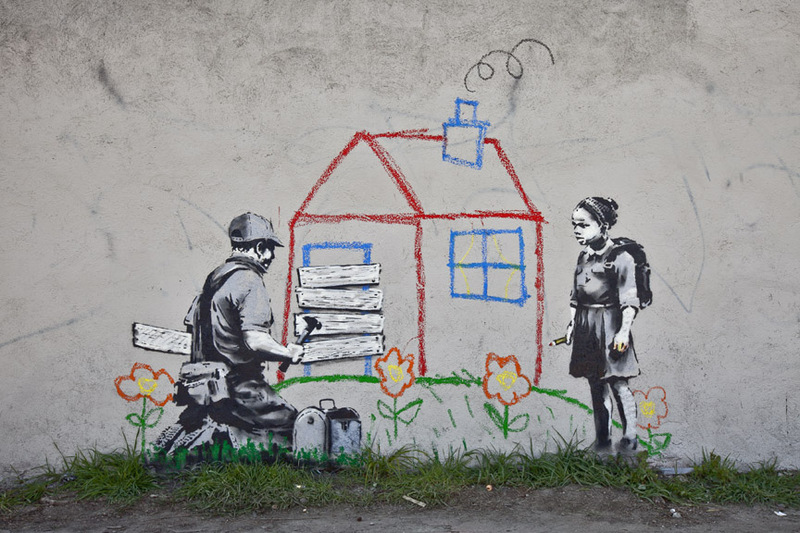 Several other street artist have stepped up their game this month, hundreds of new and unusual pieces now adorn the city. Drive around and visit the city as a gallery.